Does informing stakeholders hinder incident resolution times? 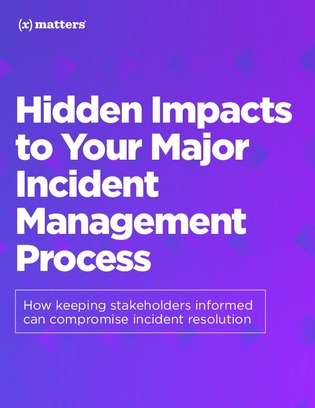 In major incident management strategies, keeping stakeholders informed throughout the resolution process is often considered a critical step – but why? As it turns out, most IT professionals consider this step to be a major pain point within the response process. In this guide, read more about what IT pros are saying about stakeholder reporting – and spoiler alert, it’s not optimistic. You’ll also find out how automation can solve incident reporting inconsistencies and take communication responsibilities off of IT’s shoulders.